If you like to run, and you dream of going to some wonderful destinations to enjoy it, after seeing these amazing marathons locations you’ll want to pack your sneakers and hit the road. Whether it’s your first time participating or you’re a seasoned runner, take a look at these picture perfect marathon locations from around the world. Who wouldn’t want to run along side Mickey Mouse? 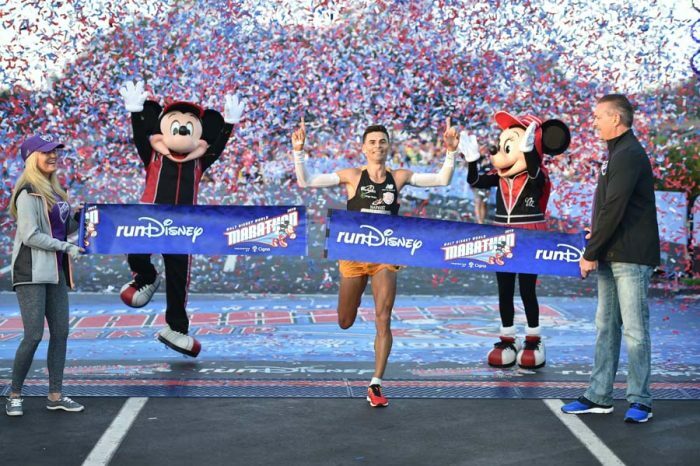 The Walt Disney World Marathon is an annual marathon and weekend race series held every January in Orlando, Florida by runDisney, a division of Disney Sports Enterprises. Runners travel through the different Disney parks in a number of different events including a Family 5k Fun Run, a 10k, a Half Marathon, and a Full Marathon. There are also a multitude of challenges participants have the option of taking part in. One is the Goofy Challenge, which is the half marathon and full marathon run back to back ,or the Dopey Challenge, which consists of running all four races consecutively. Registration prices vary depending on which race you are running. Prices usually start at around $85 for the 5k Fun Run and increase from there. Only in Disney can you experience the magic of running under Cinderella’s Castle. A race where drinking is mandatory, count me in. 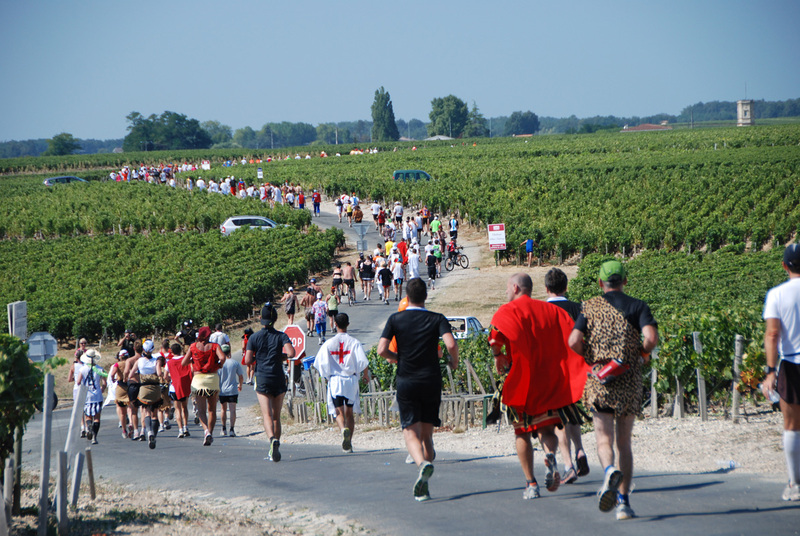 The Marathon du Médoc is held every September through the vineyards of France. Routed through 59 vineyards in the villages of the Medoc region, it is more like a wine tasting tour than a marathon. It was first started in 1985 and now attracts almost 9,000 runners every year. The 26 mile race begins in the charming town of Pauillac and takes you through picturesque villages with a glass of wine for you at each stop. Registration ranges between 88€ and 180€, depending on how many festivities you want to attend. Whether you love wine, running, or both The Marathon du Médoc is a unique adventure to go on. 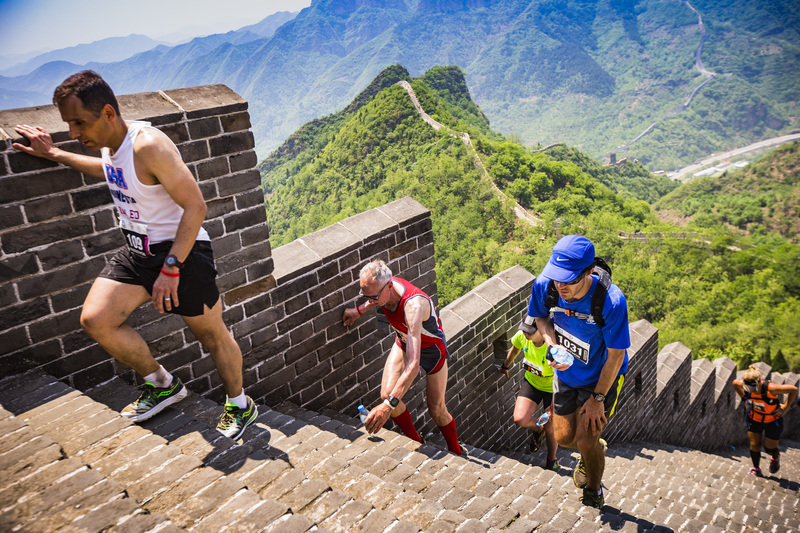 If you’re looking for a once in a life time experience then look no further than The Great Wall Marathon. Held annually on the third Saturday of May, runners travel 5,164 steps across a section of The Great Wall of China. This run is not for the faint of heart and is much tougher than the traditional marathon with its many steps and steep inclines. The marathon features three events, a full marathon, half marathon and 8.5km Fun Run. Registration for The Great Wall Marathon is combined with a multi-day tour package, providing the opportunity to run on one of the world’s greatest monuments and explore a one-of-a-kind destination. 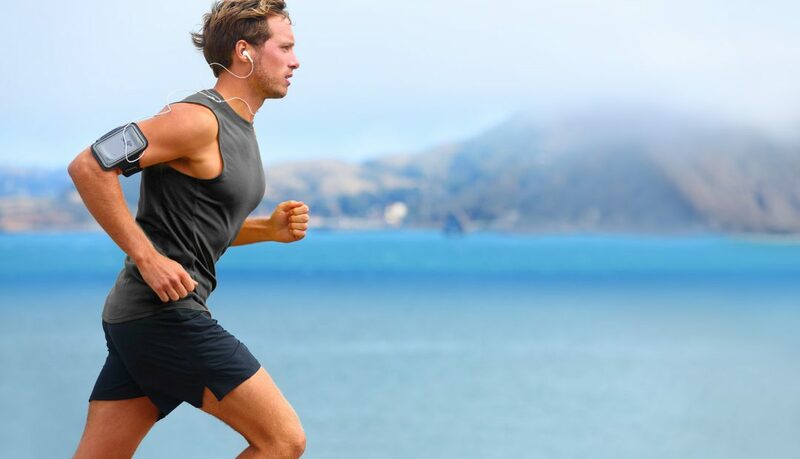 Their most popular package is the seven day marathon and holiday package, starting at $1,680. 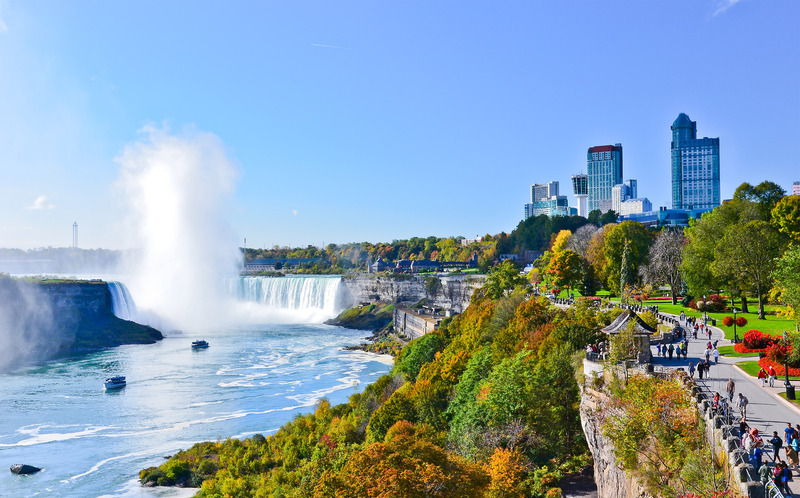 Passports are required to take part in The Niagara Falls International Marathon. This annual marathon begins in Buffalo, New York before crossing the Peace Bridge into Fort Erie, Ontario, Canada. The finish line faces Niagara Falls on the U.S.-Canada international border in the city of Niagara Falls, Ontario. There are the options to participate in a full marathon, a half marathon, a 10k, or a 5k race. Registration starts at $85 to $125, depending on the race. Participants get to check this sight off their bucket list as they cross the finish line. This marathon has participants running through history (literally). 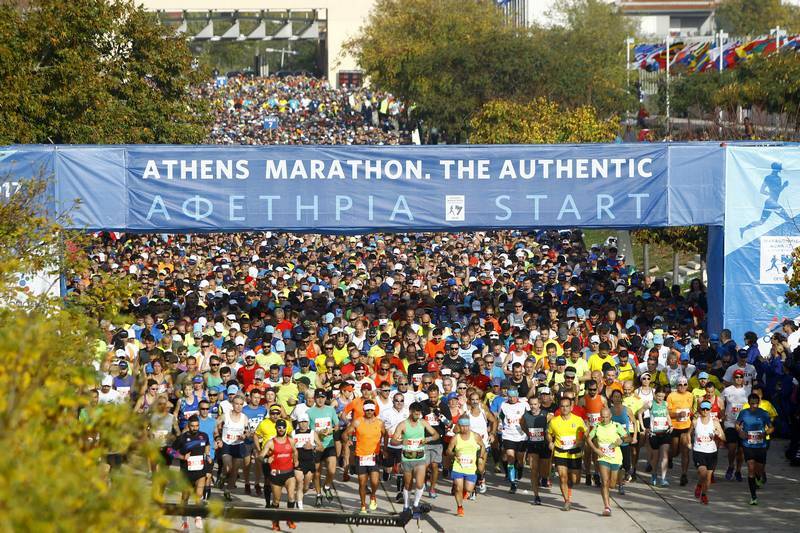 The Athens Classic Marathon takes place annually in early November in Greece. The marathon course is based on the legend of Pheidippides, a messenger in Ancient Greece, who ran from the Battle of Marathon to Athens to announce the Greeks’ victory over the Persians over 2,500 years ago. Starting in the town of Marathon, the race takes you towards the city of Athens and past the historic sites of Ancient Greece, finishing at the Panathinaiko Stadium. Runners can participate in six different races, including the marathon race, power walking, 10k, two different 5k’s, and the kids race. Registration varies depending on the race and start around £85. There are also a number of tour and accommodation packages offered for anyone who wants to visit the sites as well as participate in the marathon. This race offers participants the opportunity to run in the footsteps of history.